NVUS melds optimal concentrations of carefully extracted and exceptionally potent Ayurvedic botanicals with cutting-edge peptide technology to create anti-aging creams that are guaranteed to make you look younger. NVUS creams never contain parabens, synthetic fragrances, gelatin or denatured alcohols. 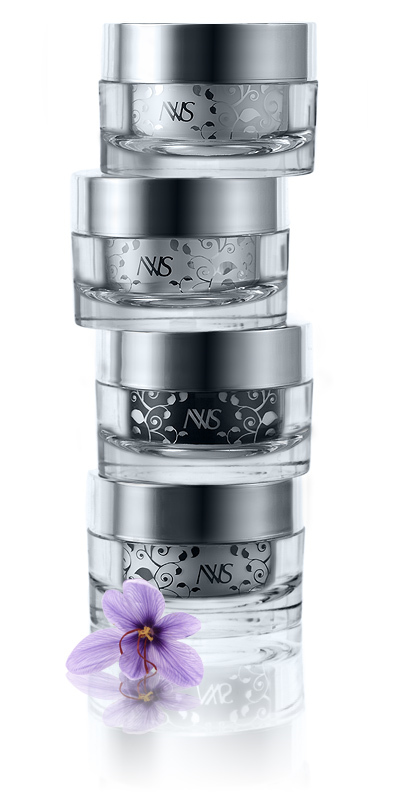 NVUS Awareness creams for the face, eye, décolleté and hand regions are manufactured in Japan to the highest quality standards in the world. NVUS Awareness creams slow and reverse the signs of skin aging by combining holistic Ayurveda medical knowledge with rigorous modern scientific research. Ayurveda provides exceptionally potent anti-aging botanicals with several millennia of proof. Modern science provides us with clinically tested ingredients to target every visible sign of skin aging. Together in the NVUS formulations, they support the body's natural ability to heal and reverse the signs of skin aging. It is this Natural Vitality and the envy it elicits from others that inspired the name "NVUS", which is pronounced the same as "envious" or "envy us". NVUS Awareness creams are specifically designed to ensure optimum absorption and efficacy of the finest wrinkle fighting, skin tightening, exfoliating and hydrating ingredients, thereby eliminating the need for expensive toners, exfoliators, hydrators, pore minimizers, moisturizers and primers. Each NVUS Awareness cream is an all-in-one skin care. Research and anecdotal evidence show that our formulations produce noticeable skin firming, significantly reduce the appearance of fine lines and wrinkles and vastly improve skin clarity, color and texture. NVUS Awareness creams will make your skin look and feel younger or we will give you your money back. (See our Guarantee page for additional details.) We invite you to consider comments from some of our actual clients on our Customer Experience page.